The SKY Serum & Cthulhu Presets from Surge Sounds, a mind blowing collection of ethereal sounds, packed to the brim with innovative Hybrid Serum presets, Cthulhu chord presets, custom wavetables, top notch construction kits, powerful stems, engaging loops, precise drum samples, carefully crafted MIDI & more! 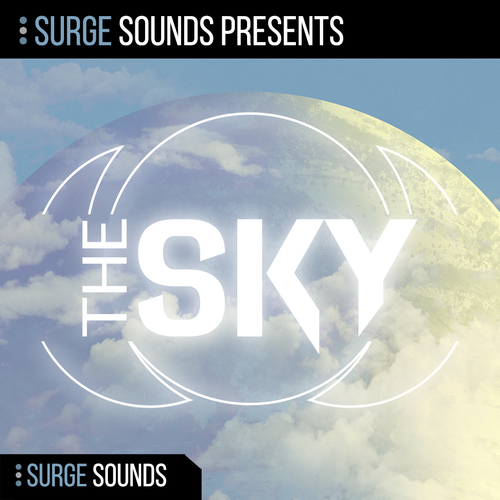 Surge Sounds The SKY Serum & Cthulhu Presets pack is filled with Hybrid Serum presets with 28 Custom Wavetables from Strings, Pianos, Acoustic & Electric Guitars, Organs, Mallets, Marimbas & more. You’ll discover 24 creative Cthulhu presets with 3 octaves of chords on every preset. That’s 30-35 chords per preset! We used the white and black notes with 780 plus chords in all 12 keys. Major, Minor, Suspended 2 and 4, Add 9 and 11, 6th and 7th chords, you name it Sky CHRDZ has it! To top it off you’ll discover 3 top notch 100% Royalty-Free construction kits in 3 keys and BPMs. They come with 257 cutting edge loops organized by arrangement. The loops are organized into folders like Intro, Break, Build and Drop for ultimate ease of use. We included 116 powerful stems to take advantage of when you build your own artistic production. They are organized into folders like Melodic, Drums and FXs so you can instantly find exactly what you’re looking for. Expertly designed MIDI is one of the most powerful tools for a producer but is also the hardest to find so we included 51 MIDIs in this pack. They include not only Melodic MIDI, but the even more rare to find Drum MIDI. To complete this collection you’ll discover 29 crisp drum one shots from the demo. They have been processed and are production ready to be dropped into your session. If you’re looking to grow your sonic collection with modern and ethereal sounds, The SKY Hybrid Serum Preset Pack is guaranteed to turbocharge your productions! Xfer Serum 1.214 & Cthulhu 1.195 or higher is required.